Night vision systems become a critical component. The ability to see in nighttime conditions allows military maneuvers and a potential advantage to the forces equipped with this technology. The night vision systems rely on the very low light levels of starlight and night sky illumination to help image the targeted scene and its surroundings. When ground transport vehicles need to operate in total darkness, drivers employ enhanced vision systems Driver-Eye to navigate covertly. Car is driven with headlights on without lights on at night, with using on roof-mounted system night vision, our new control navigation Driver-Eye. Driver-Eye has the additional advantage of providing images that are similar to what is seen with naked eye. Vehicles must be equipped with systems Driver-Eye running lights they are easily tracked by other vehicle operators, such as in a nighttime convoy situation. 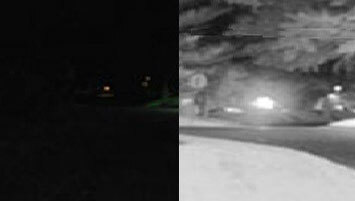 Armored vehicles receive an important defensive capability by using covert illumination infrared night vision systems to alert operators to actions.